Sustainability is a complex, challenging and, at times, confusing concept. Somewhat different definitions are used depending upon the situation and goals of those using the term. 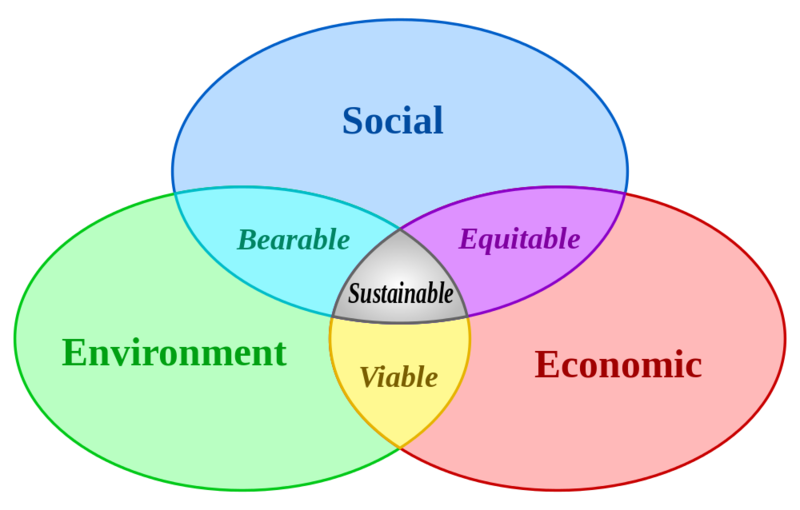 At the most basic level, sustainability describes the ability to meet current needs in a way that does not undermine future welfare. Sustainability is most commonly associated with prudent environmental stewardship, or the careful management of natural resources in perpetuity. As an illustration, a community might responsibly manage natural resources but if the majority of its members are living in poverty, this scenario should not be described as sustainable. Achieving sustainability therefore requires compromise and tradeoffs when pursuing competing goals. It is up to a given community to define sustainability goals and determine what compromises are acceptable. Deciding what outcome is sustainable, therefore, depends in part upon how much a society values a range of environmental, economic and social benefits or drawbacks. In our increasingly global, interconnected society, it is important also to consider the impacts of practices and behaviors across local and global scales. Decisions about how an individual or community consumes natural resources often have impacts on local, regional and global ecosystems, economies and communities. For example, considering just the environmental impacts, the decision to use oil for transportation could impact the 1.) local air quality in the form of smog, 2.) regional water quality as a result of potential oil spills and pollution from oil refineries, and 3.) global climate and ecosystems through increased emissions of greenhouse gases. This simplified example does not include a consideration of the effects of the decision on local and global economies and social systems. Sustainability is a challenging, yet increasing important, concept to teach. It requires connecting ideas across disciplines, considering effects across large temporal and spatial scales and requires a basic understanding of relevant social, economic and ecological processes. A goal of the Fields of Fuel computer game, is to help students explore these complex dimensions of sustainability in an engaging, relevant and realistic scenario: managing farms to sustainably produce bioenergy crops.